The Feminist Task Force works to promote gender equality and women’s empowerment as central to poverty eradication at the local and global levels. 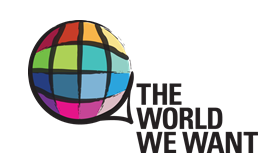 It does this by partnering with rural and grassroots women, women’s rights organization, socially excluded communities and key strategic civil society organizations around the world to raise the voices of women and advocating at both the local and global arenas. Part of the work includes advocacy at the UN and other negotiating bodies like the G20 to draw the links between gender equality and climate, economic, social and racial justice. The Feminist Task Force begins the new year with a wish to keep the Fire Burning Bright for 2014. 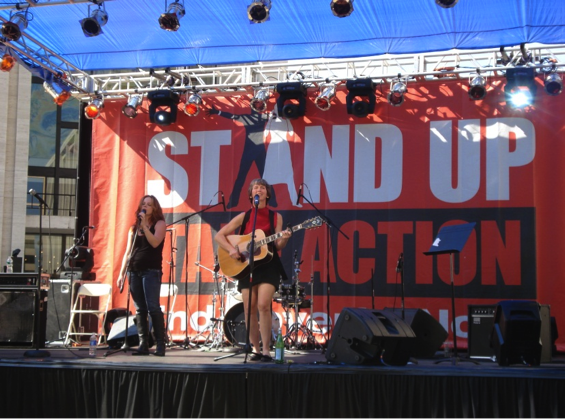 Watch the video highlighting moments of activism in 2013 in which the FTF participated. The FTF Leadership meets in Johannesburg, South Africa for their annual face-to-face meeting to develop the FTF three year strategy. 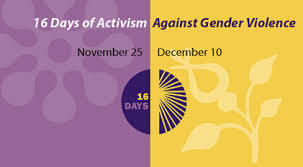 The Feminist Task Force participates in the International Civil Society Week in Johannesburg, South Africa, which includes the GCAP Global Assembly in Johannesburgh, South Africa, the DEEEP Conference, “Building a Global Citizens Movement,” co-organized by CIVICUS, GCAP and CONCORD and the CIVICUS members meetings. The FTF Leadership and constituency meet throughout the International Civil Society Week to ensure a gender perspective and feminist messaging was included at the various partner meetings. Tribunals as megaphones. The First Girls’ Tribunal: The Feminist Task Force in collaboration with the Working Group on Girls held The Girls’Tribunal on Violence, the first Tribunal to feature only the voices of girls. Women’s Tribunals have taken place all across the world with over 20 organized by FTF in Asia, Africa and Latin America. For the CSW 57 the Girls’ Tribunal on Violence featured a group of courageous girls who testified to the impact that violence has had on their lives and the creative means they have taken to stand against it. A distinguished panel of jurists responded to the testimony and provided recommendations to the girls and policymakers on how to address violence against girls. Feminist Task Force is a founding member of the Mining Working Group, an NGO coalition promoting human and environmental rights at the UN and raising awareness about the impact of the extractives industry on the lives of women. Creating the Post 2015 Women’s Coalition – The Feminist Task Force joins with key women’s organizations and networks to spearhead the Post 2015 Women’s Coalition, an international network of feminist, women’s rights, women’s development, grassroots and social justice organizations working, through advocacy and movement building, to challenge and reframe the Post 2015 global development agenda. 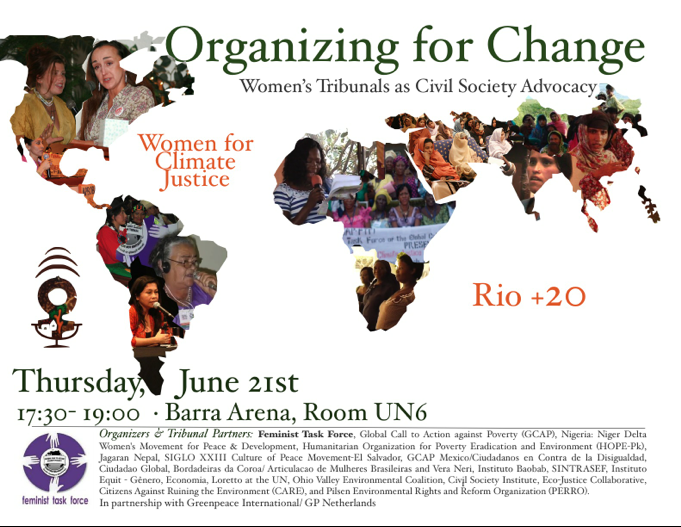 On Thursday June 21st the Feminist Task Force and partner organizations presented the side event Organizing for Change, Women’s Tribunals as Civil Society Advocacy at the monumental UN conference RIO +20 in Brazil. At the event women from Africa, Asia, Latin America, and North America testified to their experience holding Women’s Gender and Climate Justice Tribunals in their respective communities. 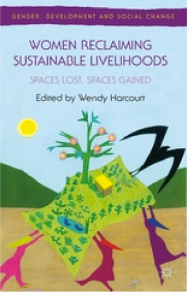 At Rio+20, The Feminist Task Force co-sponsored the book launch of “Women Reclaiming Sustainable Livelihoods: Spaces Lost, Spaces Gained” on June 19th at the UN RIO+20 sustainability conference. Global Coordinator of the FTF, Rosa Lizarde, co-authored a chapter in the book focusing on the “Women’s Tribunals on Gender and Climate Change” and discussed the tribunals at the launch. The Empowerment of Rural Women and their role in Poverty and Hunger Eradication is the primary theme for this year’s UN CSW and the FTF collaborated with various entities including the NGO CSW Committee to host a variety of events. Consultation Day, the kick-off of the CSW, included a training on the women’s tribunal methodology to supplement the Rural Women’s Speak Out organized together with UN Women. 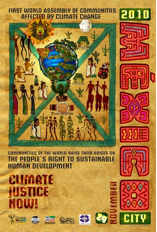 Other events included Rural Women in Central American: Defining the World We Want and Strengthening Voices, Search for Solutions: Report of the 15 Gender & Climate Justice tribunals. Partnering with GCAP, Greenpeace International and International Press Service (IPS) to build on the successful series of Women’s Tribunals on Poverty which began in 2007 (see below), and the first series of seven Women’s Tribunals on Gender and Climate Justice by the FTF in 2009 (Botswana, Uganda, Nigeria, Nepal, Pakistan, India, Brazil), the 2011 tribunals focused on the very real impact of climate change on the lives of people worldwide, particularly the impact on rural, grassroots and poor women. The tribunals emphasized bringing solutions to the forefront of the climate debates, in particular in the run up to COP17 in December 2011. Read more on the countries: Argentina, Bangladesh, Brazil, The Democratic Republic of Congo, El Salvador, Ghana, India, Mexico, Nepal, Nigeria, Pakistan, Peru, Tanzania, Uganda and Zambia. On the occasion of the 100th anniversary of International Women’s Day on March 8th, and the first 100 days of the new UN women’s entity, UN Women, the “100 Days → 100 Ways” for UN Women e-camp@ign was launched to collect over 100 contributions from around the world on how the UN Women can better serve women, promote women’s human rights and be a champion for achieving gender equality and women’s empowerment. These contributions will be directed to, Ms. Michelle Bachelet, Under-Secretary-General and Executive Director, and delivered to the UN Women. 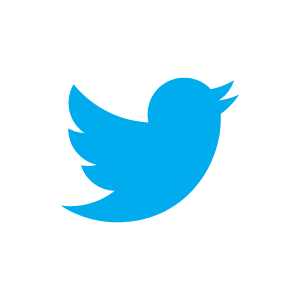 March 8th will be a day of action for the “100 Days → 100 Ways” e-camp@ign. On the opening day of the UN Millennium Development Goals Review Summit in December, the FTF held a Day of Dialogue to examine the impact on women of interconnected crises: financial and economic, climate change, food and maternal mortality. Panelists presented critical analysis on the systemic issues contributing to the crises and how these crises have exacerbated living conditions for women, throwing millions back into poverty. The FTF collaborated with GCAP Mexico, GCAP LAC, and GCAP in organizing the First Forum on Communities Affected by Climate Change in Mexico City, November 29, in the lead-up to the COP16 Cancún, Mexico. Spearheading by GCAP Mexico, the Forum was the first organized since the creation of the Coalition of Communities Affected by Climate Change in Copenhagen in 2009 and featured many local women whose lives and livelihoods had been impacted by a changing climate and environment. 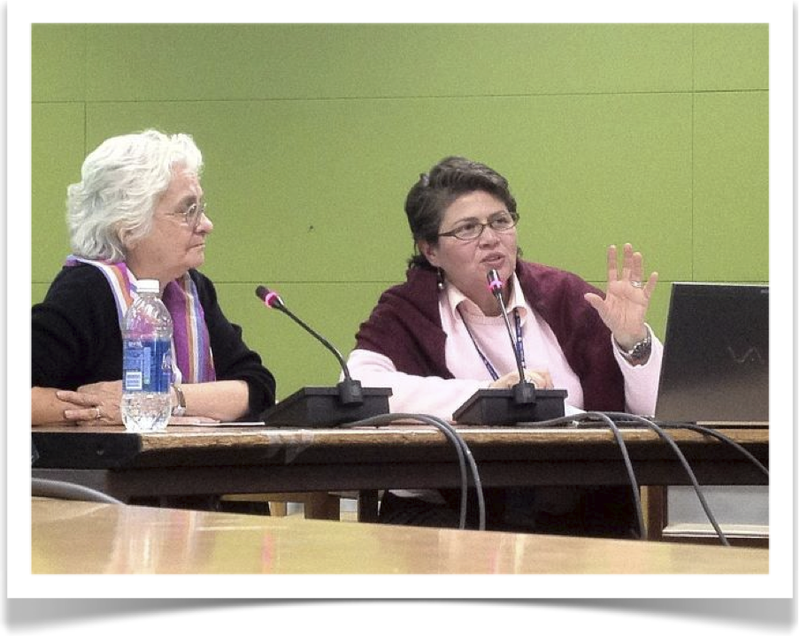 FTF member, Rosa Lizarde, presented on the work of the women’s tribunals on climate justice and showed the video, “7 Countries, 3 Continents, 1 Call” in Spanish about the seven women’s tribunals organized in 2009. Partner women’s organizations presented on how climate change has impacted their communities. The FTF attended this international event and, in coordination with International Council for Adult Education (ICAE), presented a workshop with the conclusions from the FTF Women’s Tribunals on Gender and Climate Change organized in seven countries in late 2009. The FTF produced a video called, “7 COUNTRIES, 3 CONTINENTS, 1 CALL” for the Cochamamba Conference in April and for other forums on climate change. The video is a compilation of videos and photographs of the seven women’s tribunals on gender and climate change organized in 2009 and features highlights of those tribunals. The International Women’s Day mobilization focuses on the 15th Anniversary and Review of the Beijing Fourth World Conference on Women (FWCW) with Daily Action Alerts focused on the 12 Critical Areas of Concern of the Beijing Platform for Action (BPfA), beginning with Women and Poverty and including Education, Health, Violence Against Women, Armed Conflict, Economy, Decision-Making, Institutional Mechanisms, Human Rights, Media, the Environment and ending with the Girl Child. 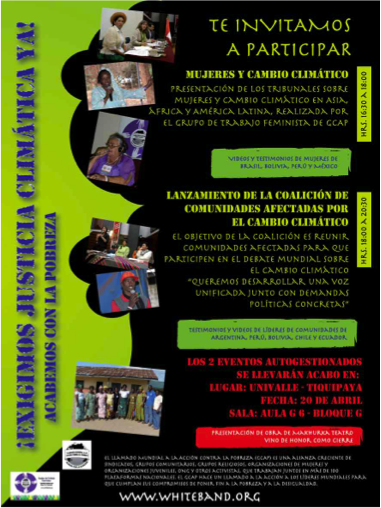 The findings of the seven women’s tribunals on climate change were presented at an event of the United Nations Framework on the Convention on Climate Change (UNFCCC) and the KlimaForum 2009 in Copenhagen, Denmark. The Feminist Task Force together with the Global Call to Action against Poverty co-organized “A Day of Voices,” a full day of peoples’ testimonies at the Poverty Hearings and the Women’s Tribunal on Poverty and the MDGs held for the United Nations 10th year review of the Millennium Development Goals (MDGs). With the most unequal income distribution in the United States, New York City (NYC) has the top fifth of its population earning 40 times what the bottom fifth earns. Under the shadow of the United Nations, the FTF and ENLACE, a local organization, together with the Women of Color Policy Network-Wagner School at NYU and partner organizations, held a women’s tribunal on poverty in the world’s richest country. The Tribunal, which coincided with the crumbling of the financial institutions forty blocks to the south of the UN on Wall Street in September 2008, was unprecedented in highlighting the economic insecurity of women living in America and the inaccessibility to basic citizen rights, such as health care, food, education, and human security. Women spoke on the prevalence of a culture of poverty and how the “system” in NYC prevented women from advancing financially and professionally. 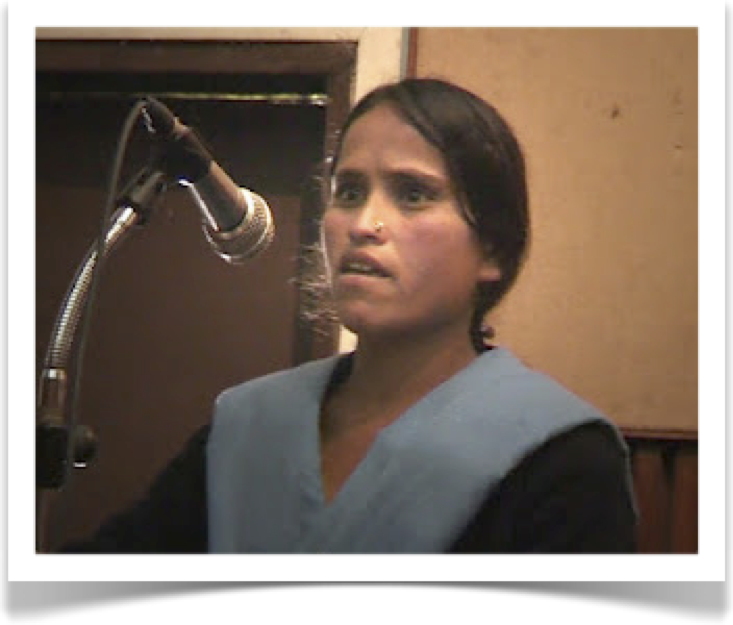 Watch the video: A Day of Voices – Women’s Tribunals on Poverty and the MDGs. To view the Poverty Hearings video, click here. Beginning in 2007, the FTF launched a series of International Women’s Tribunals on Poverty to highlight the plight of women living in poverty around the world and to bring forth the voice of grassroots women. The Tribunals served to inform and present testimony on the conditions of women in different regions around the world. The documentation and testimony were used to put pressure on local officials and national governments to increase services for women and to improve women’s livelihoods. Women’s tribunals were held in India, Peru and Egypt. The Feminist Task Force women’s tribunals spurred our GCAP partners to organized Poverty Hearings around the world: See video. Since 2006, the FTF has mobilized around March 8th, International Women’s Day (IWD), marking it as GCAP’s first global mobilizations for the calendar year. On IWD mobilizations take place around the world raising awareness about the feminization of poverty and calling for gender equality and women’s empowerment.Gender equality and women’s empowerment as a core demand –Women rights groups had been calling for putting gender equality and women’s empowerment at the center of poverty eradication. At a meeting of the GCAP Global Assembly in Beirut, Lebanon, the FTF fulfills the goal of adding “Gender equality and women’s empowerment” as a core demand of the GCAP platform.“Gender Equality to End Poverty” is coined as the FTF motto at a global meeting of the FTF Facilitation Team in Toronto, Canada. 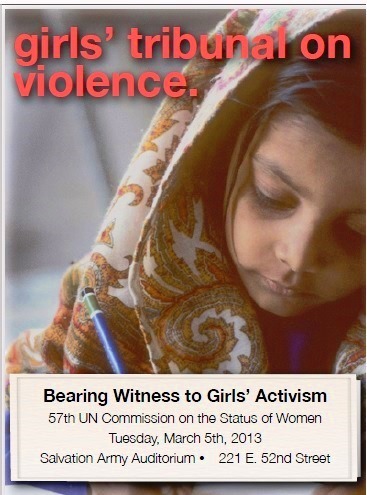 The Feminist Task Force was launched in March 2005 in New York City at the UN Commission on the Status of Women.